Precious Plastic is an open source, DIY set of machines to recycle and make new products out of plastic. Developed by Dave Hakkens in the Netherlands, the idea is to create local recycling projects where communities come together to make new stuff from their waste. The set of machines are formed by a shredder, an injection molder, an extruder and a compressor. 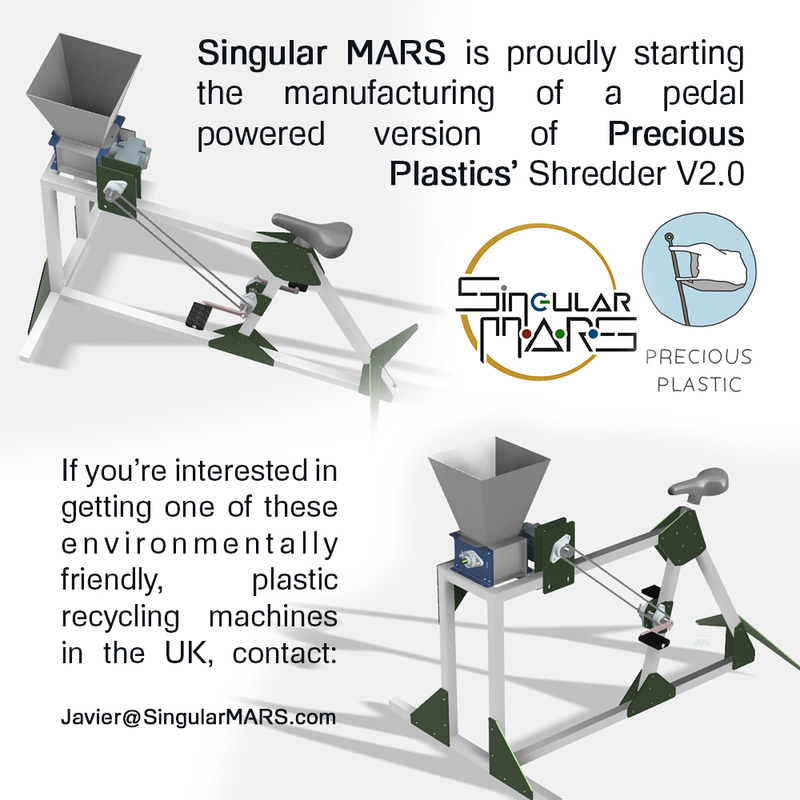 Singular MARS is currently developing a manually powered version of the shredder. If you’re interested in purchasing it as spare parts, as a kit or fully assembled, get in touch. Hi, I’m from the US and I’m curious to how much a complete machine would cost? My name is Rik Van Den Berg and i was just looking at your precious plastic machines and I was wondering what will be the cost of the shredder with the bike, and the shredder with the engine. Hi there, I would interested in purchasing a shredder and injector fully assembled. Just wondering what it would cost please? I live in Norwich U.K. ideally would like to call to discuss requirements further. 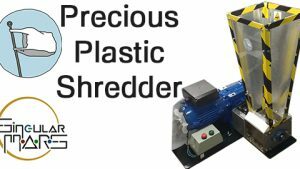 I would be interested in purchasing the shredder as a kit or fully assembled. Please cold you provide shipping details and costs for this item.